hellllloooo and happy st. patty's day luvers! hope it's going great! don't get pinched, find a leprechaun and get some gold, and as always, GET PISSED (i.e. drink some green beer)! 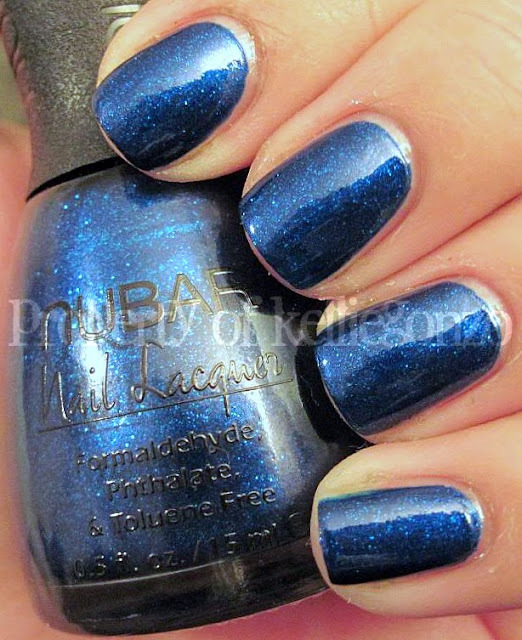 i'm actually sporting a lovely green polish, China Glaze 4 leaf clover from the up and away collex, but i'm behind in posting OF COURSE, so here's another old nubar i haven't shown you yet. 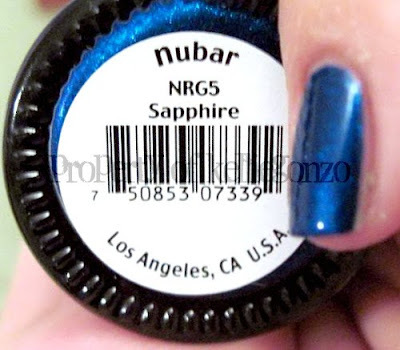 this is nubar's sapphire, from the royal gems collection 2009. i wasn't convinced this collection was that great based on swatches i saw on the net, but my trusty pal mickelle went and bought a bunch of them anyway and i borrowed them and BOY was i wrong! they are all pretty magnificent. 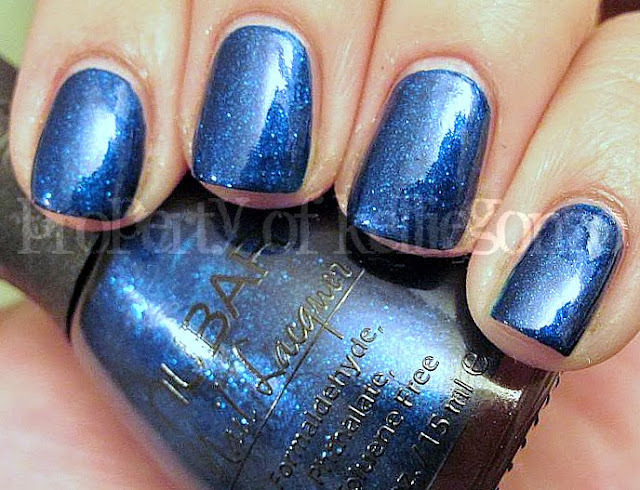 sapphire is a lovely medium blue with tiny microglitz that makes it slightly chunky but it dries smooth ala a shimmer. it's almost like it's not really glitter at all, weird but cool. this is two coats i believe.